We form art. Art forms us. The title of this book has a dual meaning. As humans form works of art, we are in turn formed by what we create. 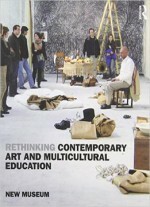 The art world constantly evolves, as today’s artists interpret, challenge, and ultimately create the world around them. The 11th edition of Prebles’ Artforms reflects this dynamic environment; it is one of the most exhaustive revisions in the book’s history. Three recent trends drive this edition: changing pedagogical needs, new scholarly research, and recent creativity by artists around the world. MyArtsLab is an integral part of the Prebles' Artforms program. Engaging activities and assessment provide a teaching and learning system that helps students experience and interact with art. Key learning tools include ART 21 videos, Studio Technique videos, and our hallmark Closer Look tours of works of art. Personalizes Learning with MyArtsLab: The new MyArtsLab delivers proven results in helping students succeed, and provides engaging experiences that personalize learning. Provides Thematic Exploration: Help students explore the reasons for creating art, the motivation for individual artists, and how art impacts its audience. Emphasizes Critical Thinking: Chapter opening-Thinking Ahead questions encourage students to focus and think critically about the issues to come. 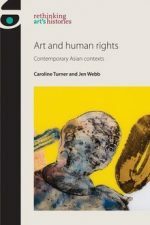 Focuses on Art Today: More than 175 new images reflect the author’s view that contemporary art provides the best path to art appreciation because of its currency and global nature. Note: You are purchasing a standalone product; MyArtsLab does not come packaged with this content. If you would like to purchase both the physical text and MyArtsLab search for ISBN-10: 020598112 / ISBN-13: 9780205968114. 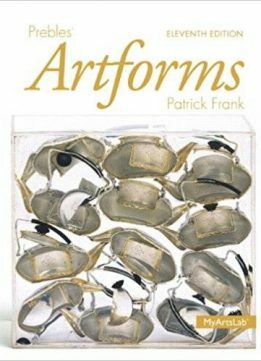 This package includes: ISBN-10: 0205206565 / ISBN-13: 9780205206568 NEW MyArtsLab with Pearson eText -- Valuepack Access Card and ISBN-10: 0205968112 / ISBN-13: 9780205968114 Prebles’ Artforms.